Secrets to Concave and Fantasy Gemstone Cutting at the Lowest Prices from Sierra Gems! This is the long missing 'Operator's Manual' for the Ultra Tec Fantasy and Concave Faceting Machines. Written by Larry and Morgan Mattos. All functions and controls of both machines are covered in this 2 hour and 20 munute video. 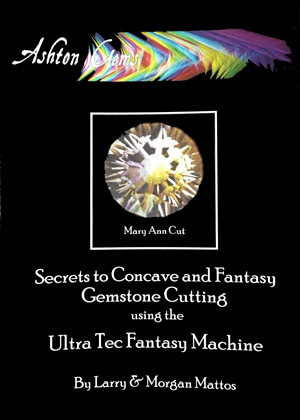 Every owner of every Ultra Tec Fantasy or Concave Faceting Machine needs this video.